When shopping for the perfect family vehicle, the 2019 Dodge Journey should be at the top of your list. According to Dodge Journey reviews like those from Car and Driver, “it’s interior is easily configurable and it has tons of cubby storage for odds and ends…” The impressive Dodge Journey specs make it an excellent choice for Castle Rock drivers. Explore the Dodge Journey for sale right here at Perkins Motors. 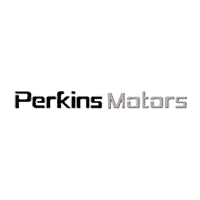 Why Choose Perkins Motors When Shopping for a Dodge Journey? The knowledgeable staff at Perkins Motors knows the Dodge lineup inside and out, and the Dodge Journey is no exception. Find the Dodge Journey for sale at Perkins Motors, and we can help you choose the perfect trim level that best meets your needs. Contact us today if you have any questions.